Writing is a funny old thing. The urge comes upon you when you least expect it. Something or Someone out there, or perhaps deep within, pops up from time to time to say, ” I’ve something for you to write about. Listen carefully!” It’s been a bit like that with my latest wee book, ‘Mystical Steps’. I just had an inner knowing that it was time to get some stuff on mysticism out into the often competing worlds of religion and non-religious spirituality. I reckon that the time to demystify mysticism has come, to reclaim it from the fixation of the esoteric crank or the fanatically unhinged religious believer. Mysticism, at its basic essence is simply, yet profoundly, an experiential communion with Transcendent and Immanent Other. Nothing weird or scary, just a form of spiritual perception that releases us, albeit temporarily, from the space-time perceptions of ego. So why aim I sharing my wee book with both metaphysical camps? Well, let’s start with the religious among us. Most committed believers are scared stiff of mysticism. This is partly due to warnings from the guardians of so-called orthodoxy within popular religion. Christian priests and pastors tend to jump on mysticism, and the possibility of having a mystic within their congregation, from a great height. Why? Well, simply because they’ve been told by their own faith fathers that it’s dangerous and somehow associated with the dark arts of the occult. Now, once the great Adversary is introduced into the religious equation it’s game set and match for the religious status quo. Let’s be honest, fear often lies at the heart of much conservative belief and practice, rather than the exhilaration of discovery in a Cosmos created as our Divine playground. Another reason faith folk shy away from mystical thought and practice is through lack of knowledge. We are wired to fear the unknown. New ways of looking at faith journey tend to freak us out, so we just don’t go there. Keeping our reading and religious input within the confines of our present world view makes us feel safe, if slightly limited in our potential for future growth. Best to stay with what we know and stay within the theological paddock of our present faith flock. Of course, top-down religions, particularly established Christianity aren’t too keen on mystics. The odd one here and there is perfectly acceptable, preferably within the walls of a monastery or nunnery. Having a congregation full of mystics though would be a bit too much to bear. No, best to keep mysticism a minority sport and let the mystics run free, as far away as possible from the rest of God’s ‘chosen’ kids. For a community that draws its identity from doctrine, tradition and group solidarity is much easier to control. If mysticism was to suddenly break out the whole institutional edifice might collapse, for all forms of co-dependency would disappear overnight. Let’s now consider the Mind, Body Spirit world. 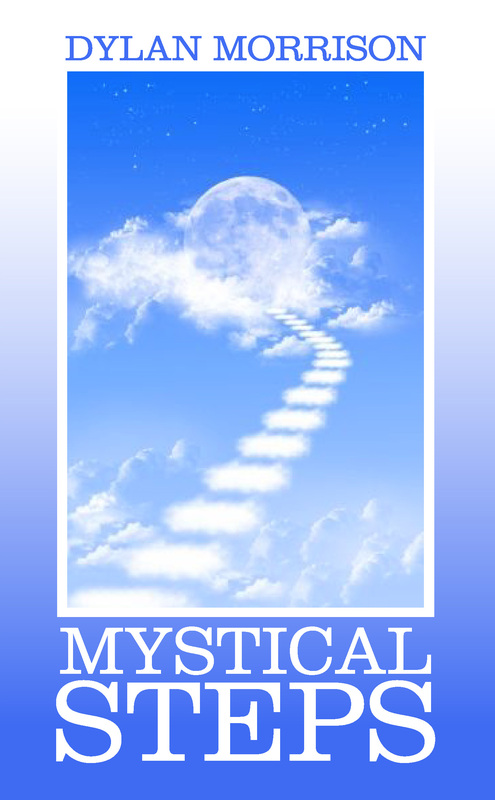 Yes, mysticism is more easily accepted here, yet there remains a stubborn ignorance that is content on one aspect of mystical belief whilst rejecting the rest. A Nature mystic or Oneness adherent can be just as narrow-minded as their religious counterpart. Our spirituality easily latches onto one interpretation of Reality and won’t let go. As a result of my observations of the lovely folk in ‘spirituality alone’ movements, I’ve concluded that there can be as much of a fundamentalist streak within them as in mainline religion. In the guise of Mystery, certainty becomes the newly adopted god of choice. Of course, many spiritual teachers and gurus are partly responsible for this as they compete for popularity and sales within the marketplace of commercial spirituality and self-help. Now much truth lies in the multifarious paradigms of modern spirituality but each little nugget is often projected as absolute Truth rather than a mere part of the whole. I’ve written ‘Mystical Steps’ to help us all catch a glimpse of a broader canvas, one upon which Divine Love loves to brush a multitude of colours. Of course my little book is only my own small attempt at portraying the unportrayable. It’s merely an ink spot on the great page of Mystery, yet it’s an honest and loving attempt at encouraging us out of any restrictive worldview we may presently hold, into the boundless embrace of Presence. May it bring solace to the lonely and encounter to the brave. Shared your post on FB, Twitter & G+, & have your book bookmarked for purchase. I’ve been a fan of mystics for a long time. Much appreciated George – you are most kind. As you well know, we authors can use all the help that we can get in getting our work out to a wider readership.